There’s something seriously refreshing about relaxing in a hot pool while it’s snowing. And when the water you’re soaking in so happens to be an outdoor natural hot spring with minerals, even better. The combination of temperatures allows you to feel revitalized and well, totally amazing. Who cares if snowflakes are gathering atop your head? It’s all part of the fun. Plus, the winter season is arguably the best time of year that you could enjoy a hot spring experience. And thankfully there’s an abundance of natural pools right here in Canada. 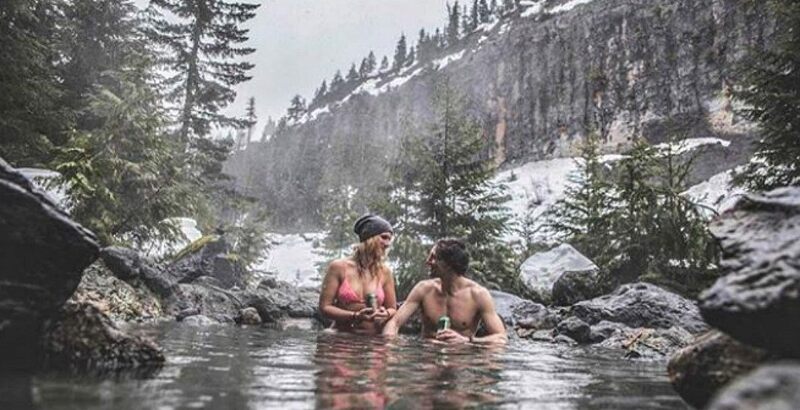 So to help inspire your next vacation during this cold weather, we’ve rounded up the top 20 Instagram photos of hot springs in Canada that you’ll want to visit ASAP. Pro tip: Bring something warm to wrap around you when you get out to avoid a slight shriek! Got a great shot of yourself enjoying crazy winter conditions in Canada? Hashtag #dailyhive on Instagram to let us know!